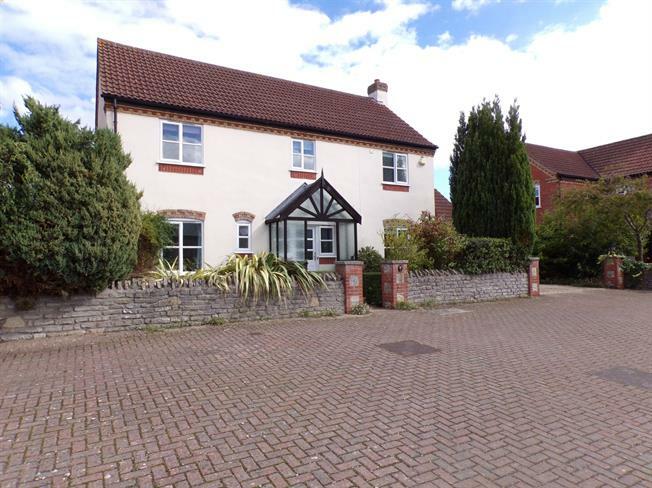 4 Bedroom Detached House For Sale in Bridgwater for Guide Price £430,000. This wonderful family home is located on a small close in the heart of Stawell Village. Offering great living space by the way of three reception rooms. Downstairs also features a large reception hall, kitchen breakfast room and utility. The living room is duel aspect overlooking both the front and back gardens. Upstairs are three double and one single bedrooms. The master suite has inbuilt wardrobes and a spacious en-suite shower room. To the side of the property is a large double garage and driveway parking. To the rear with access via the living room and dining room is a mature garden surrounded by a stone built wall. While part of the garden has been used for growing a range of vegetables, a large portion is lawn with a patio area for entertaining.